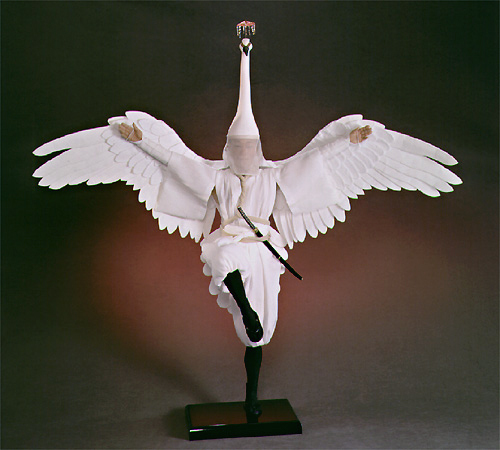 Creager Studios - "Heron Dancer"
One of a kind hand sculpted and tinted Quality Polymer Clay, Paper Clay. Approx. 22" tall (including headdress). Representing the Annual Tradition of the Gion festival. with hand woven handle in traditional Japanese style.